I knew it was coming, but it was even sadder than I thought to see Tommy Chong eliminated on Monday's Dancing With the Stars. It would have been a huge shock had he made it to the finals considering he's only pulled average scores all season. But even though his exit was expected, that didn't make it any less emotional. He even made Julianne Hough cry, and she's a pretty stoic judge. 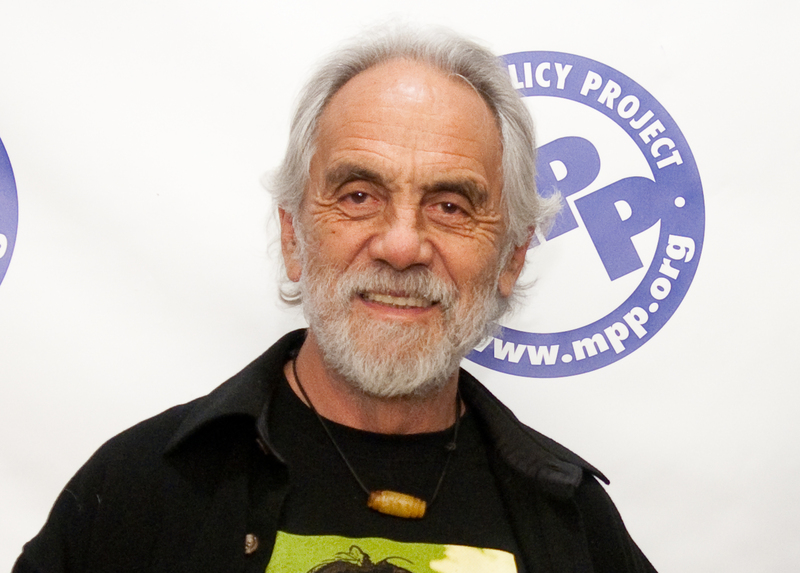 Tommy Chong continued to be one of the most gracious and hilarious performers on the show, even after he was sent home. He said thanks for the experience and summed up his feelings in one Twitter-worthy statement. "I just showed that old stoners can perform when they need to." Amen to that, Tommy. The on-set audience gave Chong and his partner Peta Murgatroyd a standing ovation, which he definitely deserved. Though he didn't always excel, his two dances were particularly wonderful on Monday. His holiday themed number made everyone misty-eyed from the judges to his own partner. "I thought I'd be out week one but he's been the most rewarding partner I've ever had," Peta confessed about the 76 year old, tears running down her face. But it wasn't just the Dancing With the Stars cast and crew that were in tears. Chong was definitely a fan favorite and everyone will be sad to see him go. But fans can take solace in knowing that Tommy is OK with how things worked out. "I'm ready to leave," he mouthed to the show's host after the announcement. It's been a tough few weeks emotionally and physically for Chong, who was the oldest member of the cast. Now that he's out he can go home to heal his body and you know...do what 76-year-old stoners do.